This is called the most wonderful time of the year for many reasons. We are able to see family and friends we may only see once a year. We celebrate family and friendships at social gatherings. Phone calls are shared with loved ones that we cannot visit. 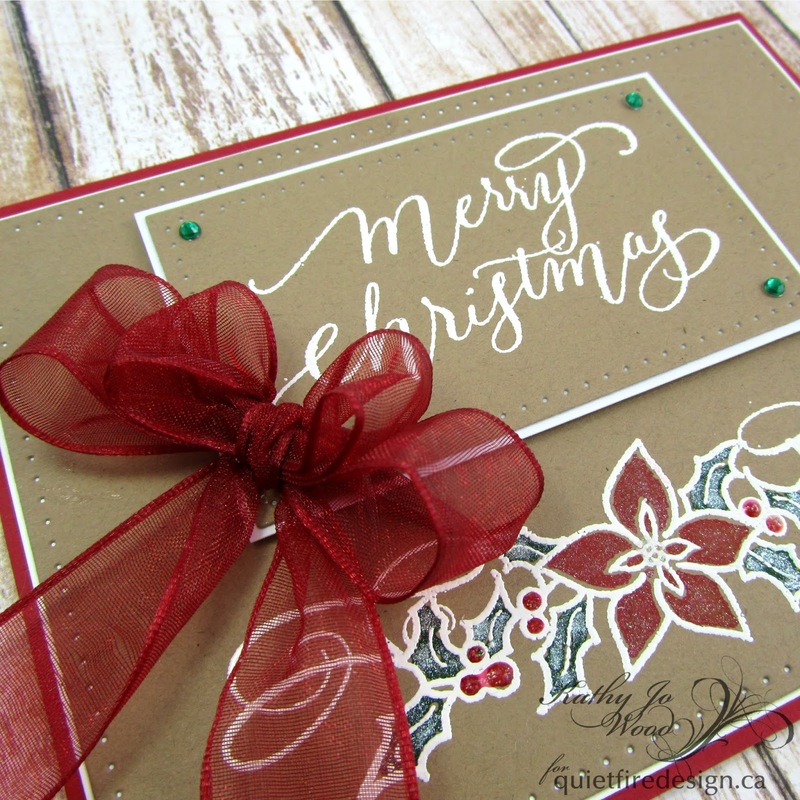 And, as crafters, we make holiday projects to give to those dear to our hearts. 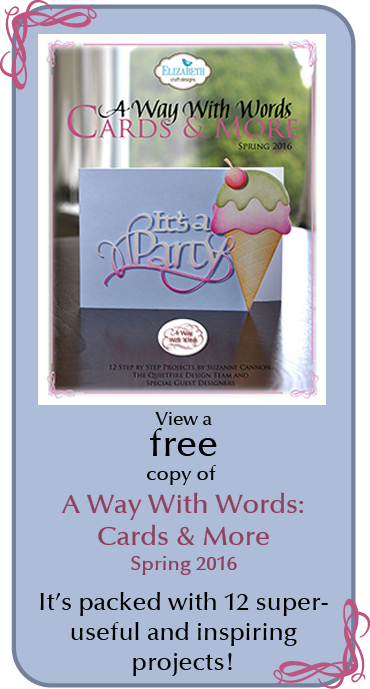 Today I am sharing a card that you can CASE and give to your family and friends. 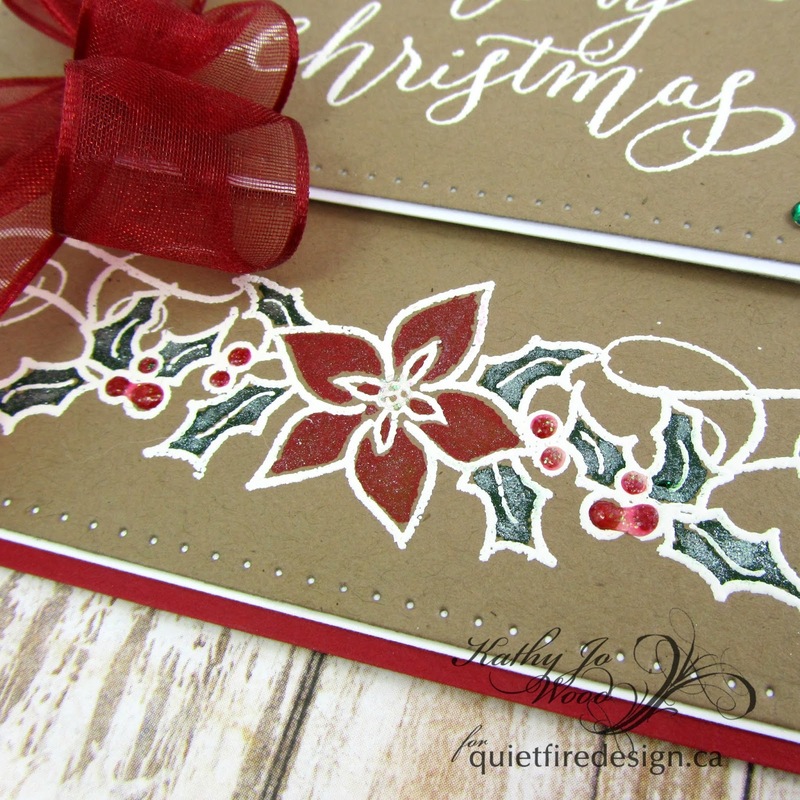 ...and Poinsettia Banner and Sentiment. Create a 5.5 x 4.25 top fold card using red card stock. 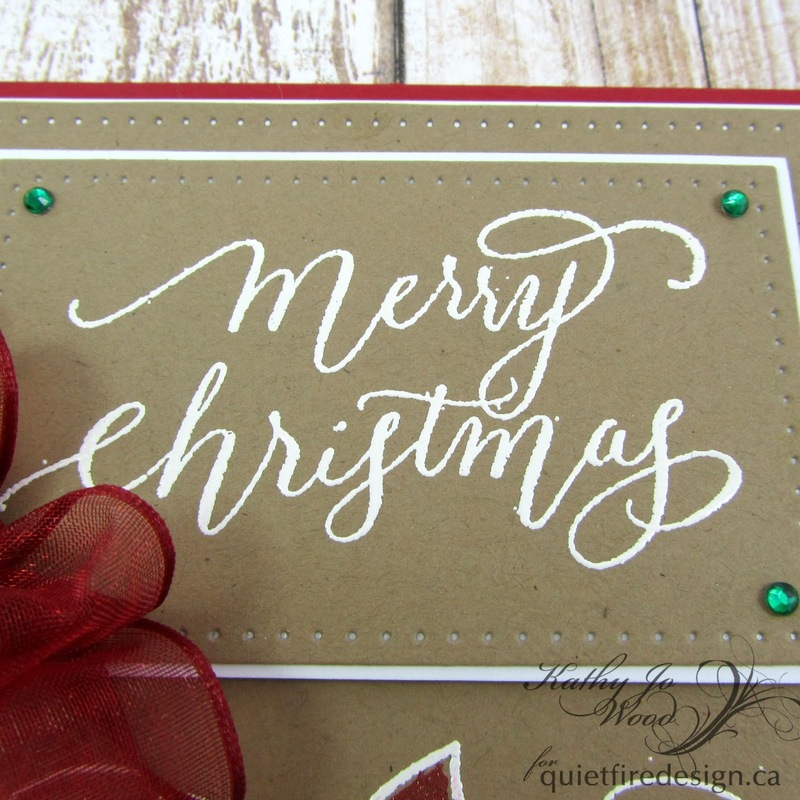 Mat white card stock onto base. 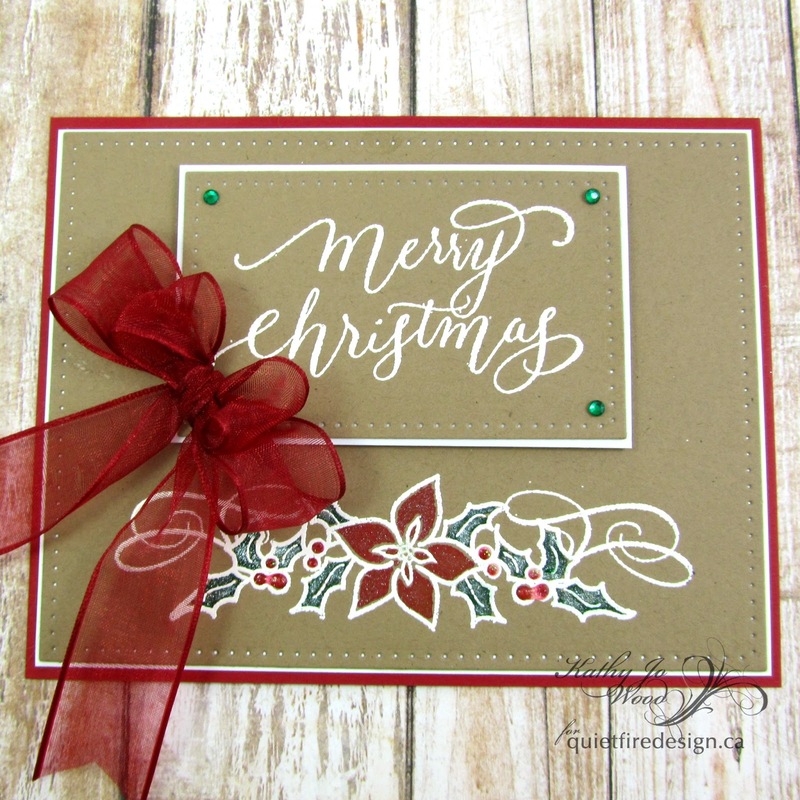 Use Versamark to stamp Poinsettia Banner to Kraft from Step 2. 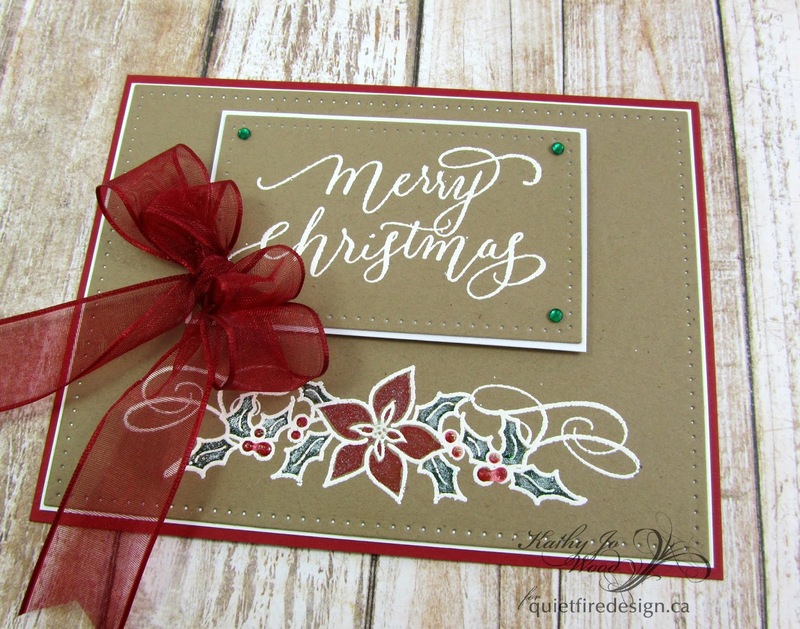 Heat emboss using white embossing powder. Color using Spectrum Noir Glitter Markers. (Or try colored pencils or chalk.) Mount onto card base. 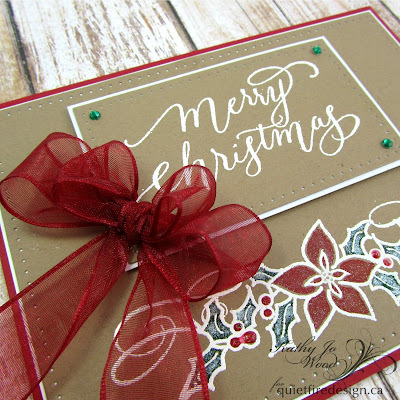 Use Versamark to stamp Merry Christmas onto Kraft. Heat emboss using white embossing powder. Cut to size or die cut. Mat onto white card stock. 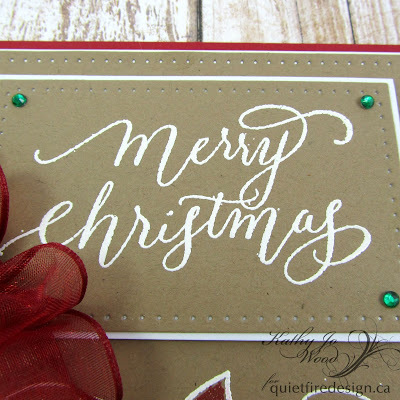 Mount onto card front using double sided foam tape. Create double bow and mount. Have a happy, crafty weekend.